Few days ago I had the honor to talk to Marko Bishop Jadro, an incredibly gifted photographer from Zagreb (Croatia), who shows absolutely breathtaking landscape pictures. 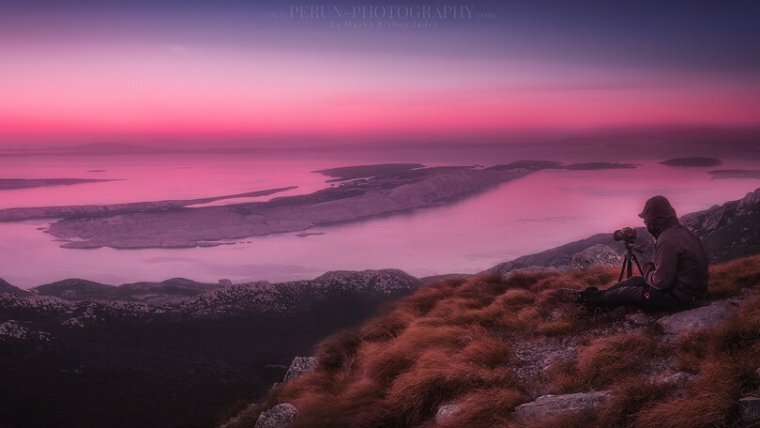 Read the whole Interview to learn more about Marko, his camera equipment, techniques, and landscape photography in general. Some 20 years ago I started first Croatian music portal which is going strong even today (www.perun.hr). I got seriously involved with it in promoting hard & heavy music scene in Croatia. Photography interested me abstractly since I was pretty young but my real beginning with it was when I bought in 2004 my first relatively serious camera Sony F828. It was the prosumer camera but experimenting with manual settings blew me away with possibilities. Via my music portal, I got into journalistic music photography, taking concert photos. It was my first great photo love. I enjoyed the rush of the photo pit, the expectation of the band to come on stage and knowing I’ve got no more than usual first three songs to take as much of awesome photos of musicians as possible. But as you can imagine, with a little prosumer such as Sony F828 that almost had no ISO capabilities the results were more often disappointing than usable. The years passed by till I could afford my first real equipment, Canon 7D with Canon 24-70mm 2.8 lenses. The joy when I shot my first concert with it! It was groundbreaking for me after being limited to ISO 200 that was highest usable ISO of my old Sony F828. I was finally able to shoot in RAW and it was then that I started learning about post-processing in Photoshop and Lightroom. The results I started to get blew my mind. It was no longer than about a year after I got Canon 7D that I traded it for Canon 5D MK III. I learned that although 7D is a remarkable machine it was still not good enough for shooting musicians in clubs of Zagreb that are mostly every one of the dark and with no suitable lighting. 7D is awesome for shooting fast well-lit scenes but still limited in high ISO. When I got 5D I felt numb from joy after shooting my first concert with it. High ISO combined with full frame, it was total happiness for me and finally I started getting concert photos that looked brilliant and professional regardless of unsuitable conditions of dim lit clubs.Very soon after getting 5D I got interested in portraits. With running hard & heavy music portal it was natural for me to get involved in photographing beautiful alternative models that come mostly from the world of rock, gothic and similar music domains. As the years passed by I got involved in portrait photography more and more. With it, I took the opportunity to further grow and refine my retouching skills. In the meantime, I got serious in mountaineering. With my grandpa being mountaineer his whole life I guess it was in my blood to follow in his footsteps. As I got serious about it my photography focus started shifting from concert and portraits more and more into landscapes. Years passed by and now I am primarily focused on taking photos of incredible nature and landscapes of the part of Europe I live in. 2) Which gear do you mainly use / What is typically in your camera bag? I use 5D MK III with three lenses all from Canon: 16-35 F4, 24-70 F2.8, and 70-200 F2.8. Manfrotto tripod. And for the accessories, there are some filters such as ND and polarizer and a remote trigger. Oh and Garmin VIRB that I mostly use for shooting time-lapse of sunrises and sunsets. 3) How important is post-processing for you? Post-processing is not an option, it is a must. What a human eye can see and what heart can feel no camera no matter how advanced can take. 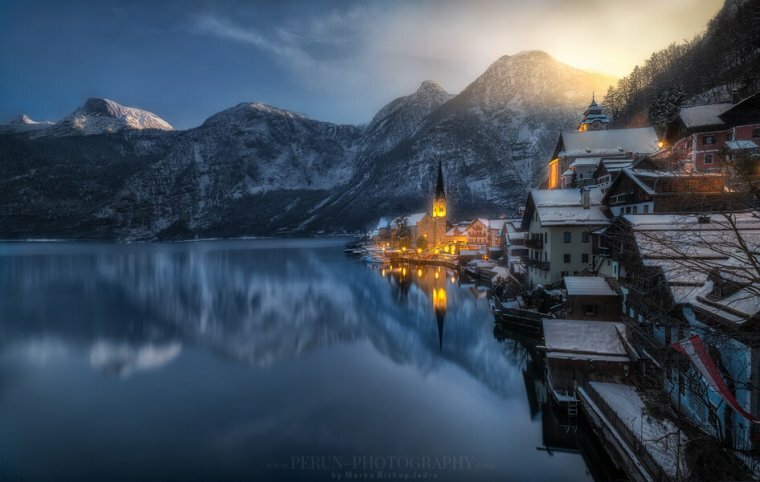 The photo that emerges from the camera is a foundation on which a photographer or retoucher must build with a sole goal to achieve that same thrill and excitement that was felt by a spectator in the concert audience or the mountaineer watching that incredible sunset in the glorious mountains. It is work that requires neverending perfecting. It takes years to get from amateurish „photoshopping with a shovel“ to a level of processing photographs with the result of looking astonishingly natural without the feel of being heavily photoshopped. I use many techniques that I learned through the years of experimentations, trials, and errors. My typical techniques in most general terms include focus stacking, time blending, color grading, creative lighting, dodging, burning and advanced masking to achieve atmosphere and dimension. All the while with multiple local adjustments to balance color, contrast, and luminosity to keep the most natural result. I learned the main formula is in the subtlety of every and each step, editing the photo inch by inch. In the end, it adds to a great deal and amazing natural effect. 4) What’s the favorite photo you took and why? I think this is the most difficult question of this interview  I will focus on answering it in the landscape part of my portfolio  Although I have many photographs that hold a dear place for me I think one feels me with most fond memories. 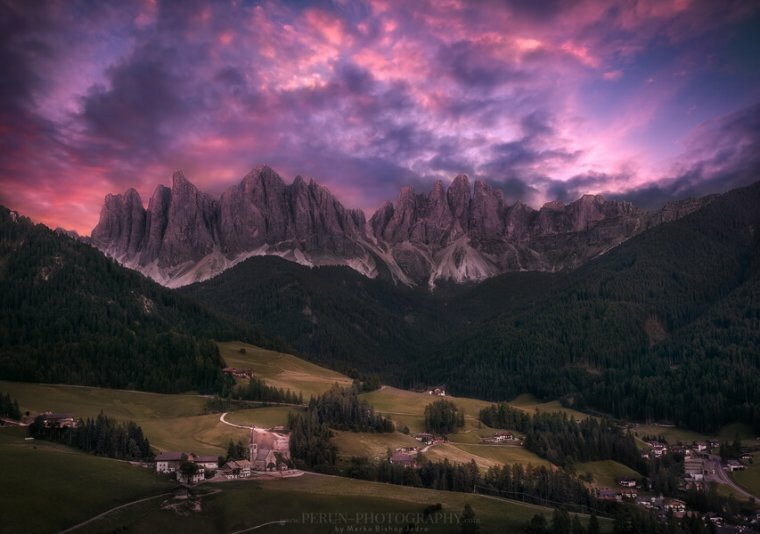 It is the dawn over Passo di Giau of Dolomites. You see I hiked and mountaineers in Croatian and Slovenian mountains a lot. But via photography perspective, Italian Dolomites fascinated me the most since I saw first photos from there. 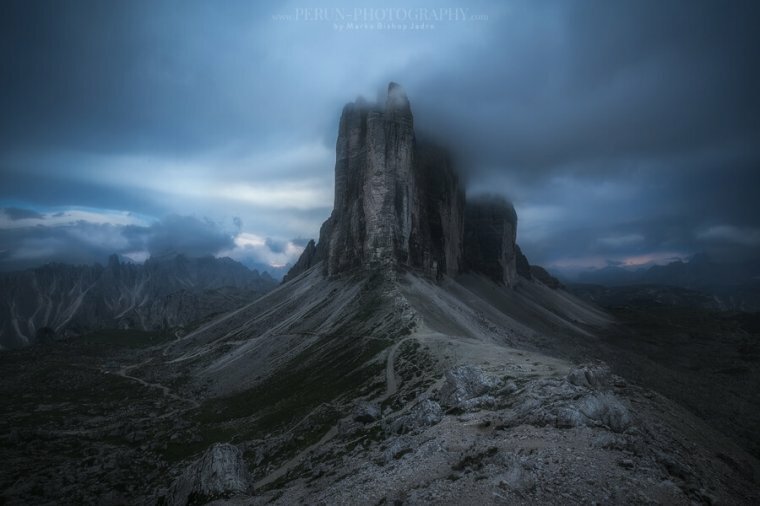 I never went there before my Dolomites photo expedition. I was preparing for it for I don’t know, at least a year intensively – studying hundreds of photos of the area from a vast number of photographers and reading all about the area from the internet and other literature I could get my hands onto. 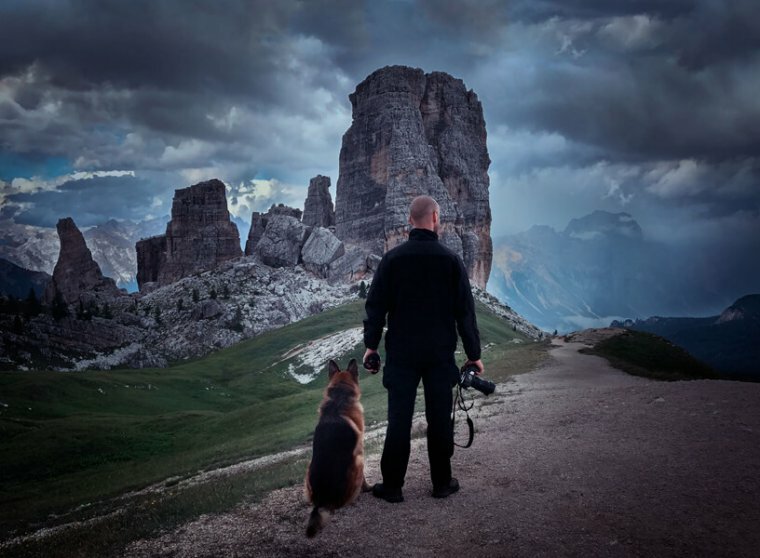 Getting ready for Dolomites expedition was the highlight of my landscape photography career – so I wanted to prepare for it so nothing can surprise me. And so I did prepare myself, for each and every aspect of it except the one I could do nothing about it – the weather. And it managed to surprise me and toss my expectations nicely to the ground. Till then through many landscape trips and hiking I was well familiar with Weather and what it can do to make or break your final image. No weather forecast can assure you of great conditions for taking memorable or winning landscape photo. But going on that expedition, do to many planned days of it and knowing of highly changing weather conditions there I was assured I would get beautiful weather conditions sooner than later. So I got on that trip all packed up and of we went on the adventure to the mighty Dolomites, with our first stop on beautiful Bled. 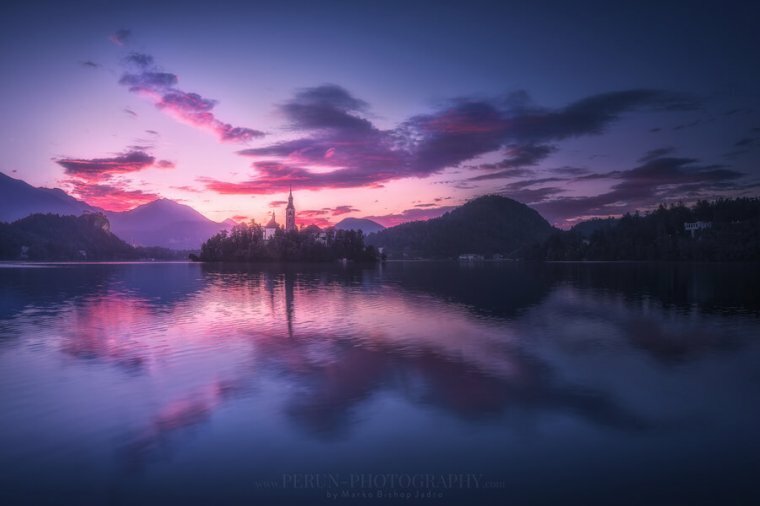 So we camped there at the lake planning to start our trip with a beautiful sunrise over the iconic church in the middle of the Bled lake. My first disappointment was born there – barely several clouds scared over the almost clear sky! It was nice but just nice. Not near the astonishing I was hoping for. After that disappointing sunrise, my itinerary got me to the Dolomites. Amazing they are in nature but when I arrived there they were not amazing in photography since – the weather was taking a laugh at me, clear skies wherever I went. I couldn’t believe it. While it was heaven for hikers, mountaineers, tourists of every kind, for a photographer it was… disappointing. It went in the same way for days as I witnessed in disbelief. It was not until the half of duration of the expedition that the weather finally changed and heavy clouds started rolling in. We decided to camp at the Passo di Giau that day. At the early evening, it started raining. Not light rain but it was pouring. Sunset was ruined and we did not know what sunrise is bringing but we timed our alarms for 3 am and hoped it will stop raining by then. When our alarms went on we didn’t know which, the alarms or the pouring rain were louder. We sit miserably trying to decide whether to take our raincoats and climb that hill in the heavy rain and hope for it to at least subside to be able to take some dark mood photos or just to call it yet another failed sunrise and go back to sleep. Oh, what error would it have been should we have decided going back to sleep… Luckily our enthusiasm prevailed and we hiked in the rain to the top of the hill overseeing the mighty Passo di Giau. As we hiked to the top it was raining less and less. And as we reached the top the rain stopped! It was the last moments of predawn pitch black and while still in disbelief that it actually stopped raining just in time we rushed to unpack our photo equipment. We prepared, our cameras were mounted to tripods and we waited for the development of events. And what followed was nothing less than amazing! Heavy clouds parted and begun getting colored by the first light and create most mesmerizing dawn I saw with my eyes in my life. 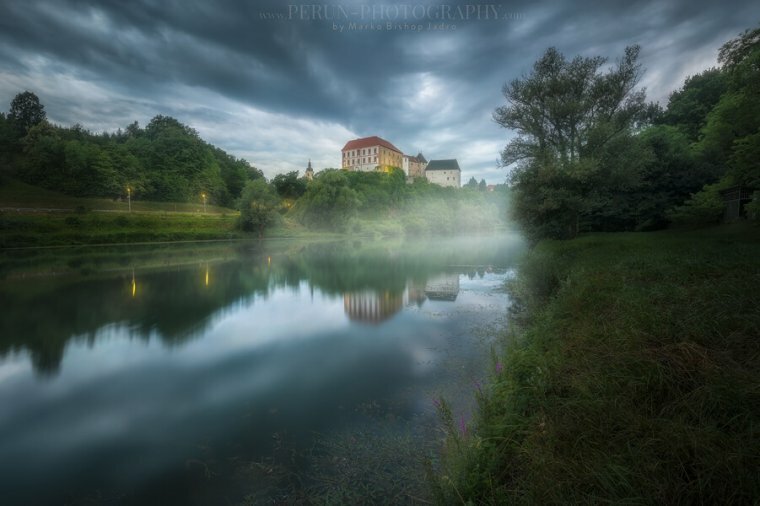 I took this panorama then, you can see that beautifully colored rain clouds parting just in perfect time and landscape still glistening from whole night heavy raining and to add that special accent to the photo my buddy Danko (https://www.facebook.com/DCPhotographyZagreb/) incorporated at the edge of the panorama as he was taking his own memory of that scene. Truly memorable experience and I guess because of the whole background story the favorite photo that I took. 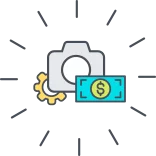 Money  Photography is not my business and I am not getting paid for it. I have a day job that pays my bills, photography is a hobby for me nevertheless how serious. So as much as I would want to throw myself into it and travel as much as possible I am limited by calculating financial cost of every travel and buying every piece of photography equipment, how much I can and can’t afford. 6) Do you have general advice and tips for other photographers? Regarding my role in leading the music portal over the many years I have seen great many „photographers“ applying for the job of being concert photographer thinking that just by buying their first camera they got everything, they need to be an instant expert photographer ready for the biggest shows and venues. Times and again via my own example I illustrated them little do they know, knowledge doesn’t come cheap and overnight. Everything I know at this moment came from taking thousands of images coupled with countless hours of sitting in front of the monitor experimenting with every possible method of post-processing before I learned the way and developed my style. The love for photography and will to commit to it is the key, but you have to have both of it. Which means a lot of learning, cost and sacrificing. If you are hoping for a short way better give it up immediately and save yourself much time and money. 7) How much time do you spend on photography on average? How do you prepare for an image? 8) What are your future photography goals? Landscape photography holds the biggest place in my heart and immersing into it is my greatest photography goal. I have the luck of living in the beautiful part of Europe and in the time to come to my hope is to witness and capture with my camera as many beautiful scenes of it as I am able. 9) Where can we find your images? 10) Thank you so much for giving us this interview. Thank you for the opportunity to express my love for photography.